If you would like to be placed on the waitlist, please email Cari Zall at czall@classroomlaw.org. 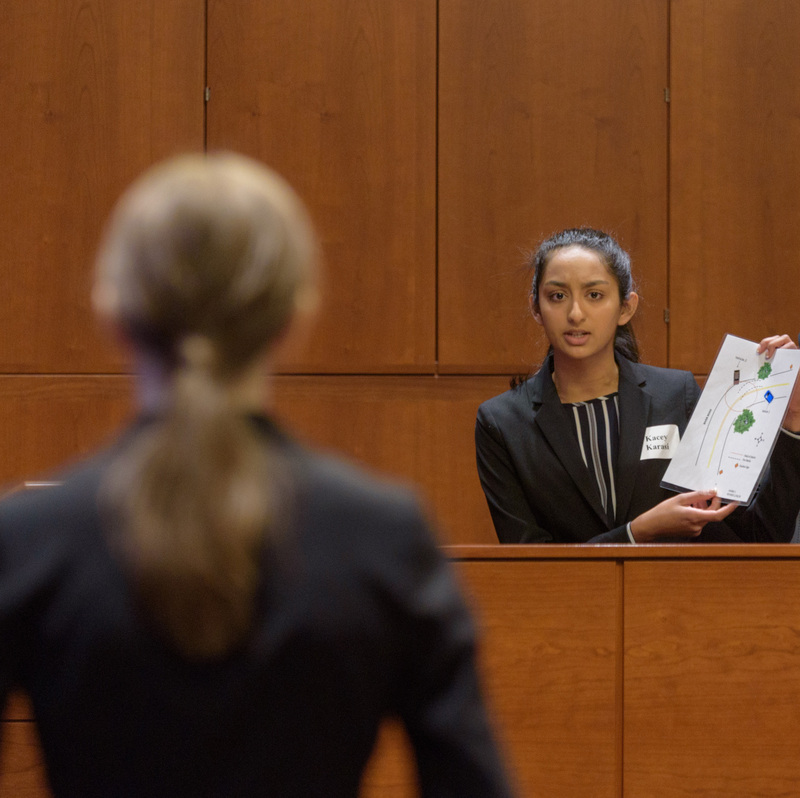 “Mini-Mock” is a friendly, non-scored practice run for High School Mock Trial teams. Mini-Mock gives teams a chance to practice their courtroom moves with a different case from the main competition case of the year. Students receive feedback from judges and get a feel for how they work together as a team in the trial environment. All slots have been filled. If you would like to be added to the waitlist, please contact Cari Zall at czall@classroomlaw.org. The registration window is necessarily short because Mini-mock has a limited capacity for teams participating. Schools are requested to limit themselves to 2 teams maximum. Depending on capacity, a third team may be able to join a wait-list. Registration is first-come, first-served. For more information about MiniMock.